I wanted to provide a quick how-to that shows my process for brewing all-grain gluten-free beer. 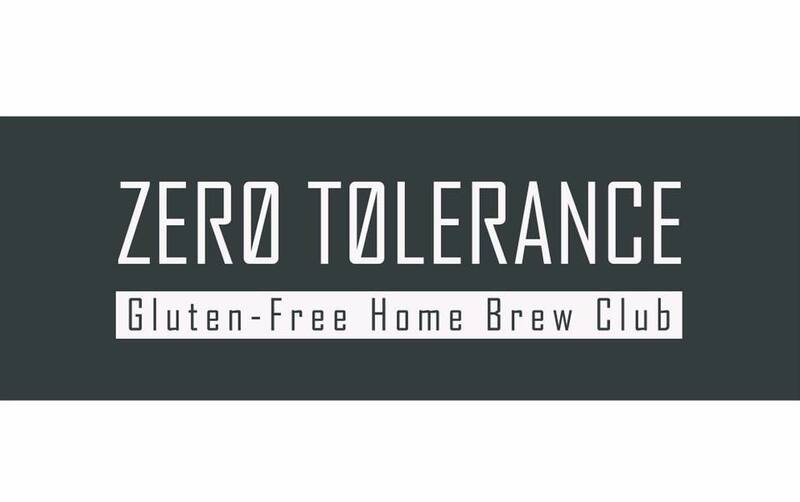 We see some questions on the Zero Tolerance Facebook page that I am hoping this tutorial will help answer. This is by no means the only way to brew all-grain gluten-free beer. Ed Golden joked with me and Bob Keifer at HomebrewCon that if you asked the three of us about our process, you would get five different answers. This is just the process I have been finding the most success with lately, though I am sure I will try to make some process improvements in coming batches. 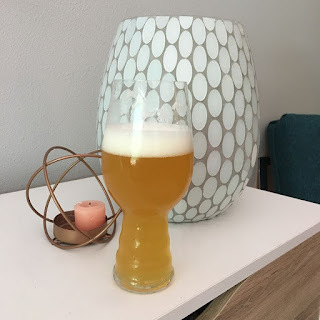 End Game IPA in its completed form from a previous effort. End Game IPA is a big, hoppy, pale beer with a gimmicky name. All the hops come at the "End" and their names (Galaxy, Amarillo, Mosaic and Ekuanot) spell out "Game." The beer is delicious and costs a fortune to brew because of the absurd hop bill and our inherently expensive gluten-free malt. But I have brewed it three times now with some solid feedback including a 38 score at NHC in the American IPA category (21.A) and some positive reviews at HomebrewCon. The Oregon State Fair is coming up and I am totally out of homebrew, so I decided this would be a good one to brew right now. I will also end up dry hopping the hell out of the beer once primary fermentation is coming to a close. The hops in this one are weird and exotic. I just happen to have a lot of the weird ones from blog pieces and HomebrewCon. If you go to one of these conventions, you will see that hops are passed out like free candy. YHC was handing out Cryo Hops like they weren't allowed to take them back home after the convention. If you have trouble sourcing Cryo hops, just use the same hop in pellets and double to quantity. As far as the CO2 extract goes, I got some for a blog piece I wrote and I have started using it almost exclusively for bittering. Brewing GF beer is too expensive for me to sacrifice volume to hop absorption on a bittering charge. CO2 extract is reasonably priced and can be found at Yakima Valley Hops. The ingredients in the grist all came from the good people at Gluten Free Homebrewing. I will shout them out every chance I get. If it weren't for Brian and Alissa, I would still be spending all my time fighting against sorghum instead of doing the thing I love... brewing all-grain beer. Recently, I have been toying with a reverse step mash. I go in very hot, around 180-185f and spend about 20-30 minutes there. The idea is that this hot rest for that time period should gelatinize the starches and get them in to solution more readily for conversion. A second infusion of cold water takes me down to the saccrification rest range (150f-165f) where I convert them to sugar. Since trying this method, I have had great efficiency in the neighborhood of 80-82%. The downside to this, of course, is that I absolutely murder the enzymes in the first infusion. It is necessary to add back amylase enzymes when using this process, unless you decant some of the wort at lower temperature rest on the way to 185f to preserve the malt's inherent enzymes. In this batch, I spent :30+ minutes at 180f, mixing thoroughly. I then added a few quarts of water to get the temperature down to 164f. I added my enzymes and let it sit for 2 hours. The 2 hour mash time is more a reflection of my lifestyle than anything else. I have 3 kids and the saccrification rest is usually time for me to go into Dad Mode. That could mean a Little League game, trip to the Beaverton Farmer's Market, or a day at the park. Could this rest be shorter? I may not find that out before all three of mine are in college. The potential drawback here may be the lack of a protein rest. Though this beer is able to pass an iodine test and came in at 82% efficiency, the wort never fully cleared for me. It looked milky even after 30 min of recirculating and some additional time in the kettle with some Termamyl Endo-Alpha Amylase Enzyme at 130-150. It does settle out well and I am hoping I can leave the insoluble stuff behind with the trub after fermentation. Maybe I didn't get the starches to gelatinize quite well enough? Maybe I milled to much flour? Still some things to figure out here. But that's the name of this game. Step mashing something I am still working on, but is a challenge for me as a cooler masher. I love the cooler for temperature stability, which is great for a single infusion. But it is pretty rigid about moving around for step mashing. Luckily this is an IPA and people don't care much about clarity (especially right now). However, I did do this same process with a blonde ale for HomebrewCon and it was the clearest wort I have seen in my GF experience. So, still research to be done for me here, but this one was cloudier than I'd like to see. Recirculating to get a clear wort. Though it never fully cleared, the wort passes an iodine test. After mashing for about 2 hours, I began to recirculate the mash using my pump. I did this in an effort to lauter and clarify the wort. Even though it never did look completely clear, I tested for gravity and starch and decided it was time to sparge. Mash pH was 5.42. I fly sparge as slowly as my pump will allow me. It usually takes me about 45 min to 1 hour to run out into the kettle. As you can tell, we are looking at a pretty long brew day here. That's why I often run errands throughout. Pre-boil gravity came in around 1.055 and I knew I was on track. I boiled, added hops, chilled as normal. Once the wort was cold, I added 1 min of O2 and pitched 2 pkgs of US-05. I did not rehydrate the yeast. There was a lot of conversation at HomebrewCon with John Palmer and the people at Fermentis. There was basically no conclusion that rehydrating US-05 provides much benefit and I was too tired to add another step to my process. I've always been apprehensive about rehydrating the yeast as it adds another point at which the yeast may become contaminated. This will probably continue to be a "when I feel like it" part of my process. The wort looks worse than it is. It passes iodine test despite the cloudiness. The plan here is to ferment at 65f until it is about 50% complete and begin raising the temp about 1-2f per day from there, until hitting 72f. I will dry hop heavily and in two doses as it nears the end of fermentation. My typical dry hop is to hop once at 5 days before crashing, then again at 3 days before crashing. The idea here is to add complexity without spending a lot of time sitting on the hops. These guys are gonna work wonders in the fermentor. I will update this post once I have completed the post-brew day activities. I have high hopes for this beer despite the cloudy appearance of the wort. And if anyone has suggestions on how to address that, I am all ears. I'd love to know why the wort remained turbid despite tasting sweet and passing iodine. User Jmath on Homebrewtalk was kind enough to point out to me that I have been misusing Termamyl. I was not using it during the gelatinization rest as it is intended. I will be brewing Dad's Red Ale on 7/14 and using Termamyl during my hot rest. I will document the effect and note it on the blog. Thanks Jmath for the "heads-up"